In 2017, the competition to make the best unofficial adaptation of The Hunger Games has gotten fierce. With the success of this year’s Player Unknown’s Battlegrounds, “Battle Royale” games — so-named after the 1999 Japanese novel of the same name and its cult-favorite film adaptation — are already on their way to carving out their own distinct sub-genre. As in the book/film, these online survival games drop groups of players into a wide, varied arena scattered with weapons, tasked with murdering everyone else until only one competitor is left standing. 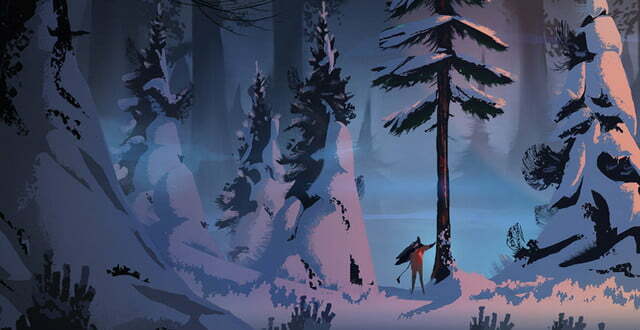 While Battlegrounds has made the biggest impression, riding the cache of its developer’s work on the DayZ mod for ARMA 2, but another scrappy contender has entered the arena: The Microsoft-exclusive The Darwin Project, from French-Canadian indie developer Scavengers Studio. Players are dropped into a roughly 2 km across hexagonal arena, divided into seven sectors, armed with an axe and a bow, but no arrows. 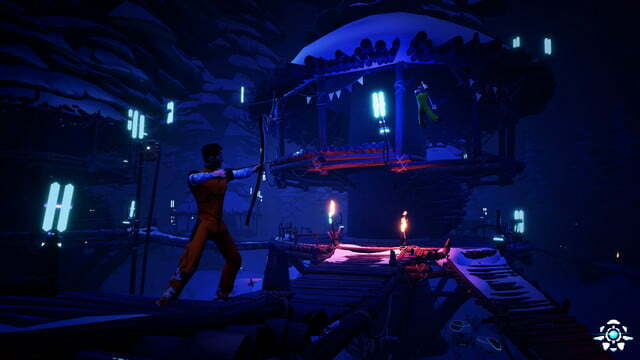 In The Darwin Project‘s dystopian future, overpopulation has led to the practice of reality tv-style battle royale contests to keep the masses manageable, a la The Hunger Games or The Running Man. Players are dropped into a roughly 2 km across hexagonal arena, divided into seven sectors, armed with an axe and a bow, but no arrows. A match can support up to 32 players, but we played a round with seven competitors, which the team has found to be a match size sweet spot. 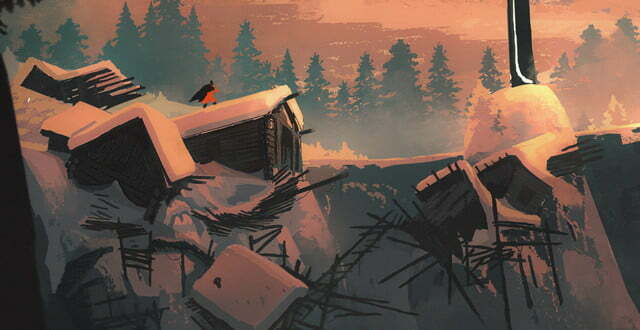 The terrain is hilly, forested, and snowy, dotted with various structures like teepees, raised walkways, and ruined cabins. More than just atmospherics, the wintry setting is indicative of the survival elements at play in Darwin. 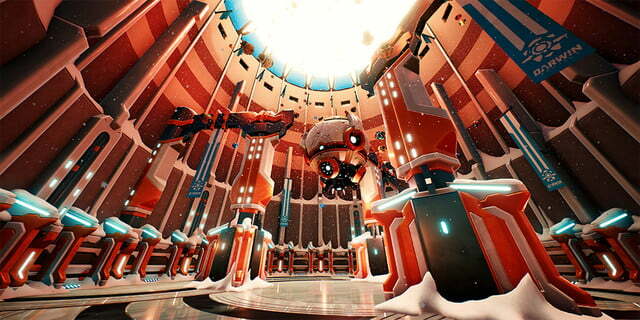 An ever-dropping temperature meter threatens freezing to death before you even see another player. To stay ahead of the cold you will need to occasionally build a fire. To do that you’ll have to chop down a tree first. One tree yields one piece of wood, which can be crafted into a fire or a single arrow. All of this takes time, which leaves you vulnerable. The need to gather resources and craft supplies makes the early game a slow burn. Every few minutes, a piece of valuable electronics drops somewhere on the map, which can be crafted into more powerful items like a temporary shield or teleportation device. The location is announced to all the players ahead of time, though, and takes a particularly long time to gather, so going for one can be a dicey proposition. Likewise, periodically one of the zones will start to flash a warning that it’s going to shut down for the rest of the match. Once time has run out the temperature drops so precipitously that players quickly take damage just for standing inside, effectively shutting it down for the rest of the match. There are also only a handful health packs scattered across the map, so healing is rare. All of these elements help force the game to a conclusion as the player count drops, raising the pressure on the survivors. All of these elements help force the game to a conclusion as the player count drops, raising the pressure on the survivors. When and where these events occur during the match is controlled by the Director, a robot camera master of ceremonies hovering overhead. This role can be filled by a player, which is one of The Darwin Project‘s most unique features. The developers are early in creating more powers that the Director can use to mess with the players and maximize entertainment value. Some of these being tested include dropping nukes or swapping the location of two players (although they told us that the latter will likely be axed for being too frustrating). This kind of asymmetry creates a fun way for players of different skill levels to engage without just being creamed, which is particularly relevant with a game that has player elimination like this. 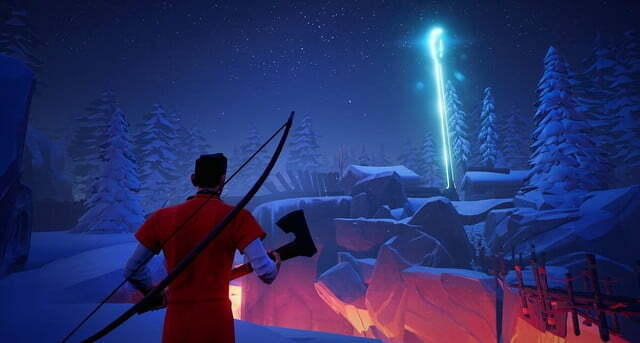 Given the dominance of Battlegrounds right now, the question is what the Darwin Project does to separate itself. First and foremost, Battlegrounds is built on the back of a modern military first-person shooter, and that defines the moment to moment gameplay. 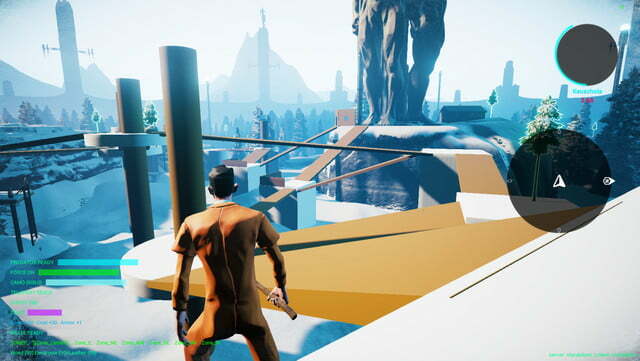 Darwin is third-person, and the combat is much cruder. 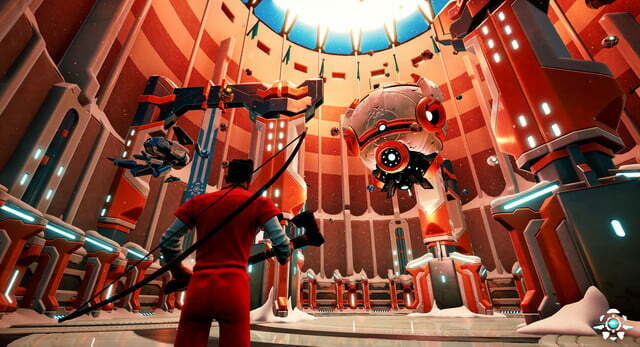 Landing arrows definitely requires skill, but it doesn’t have the tactical depth of a modern shooter. It more than makes up for that with strategic considerations, however. Whenever you come across something that another player interacted with (a tree stump, a looted chest, an extinguished fire, etc), you get a “clue”, which highlights that player’s footprints and gives you their location for 30 seconds. 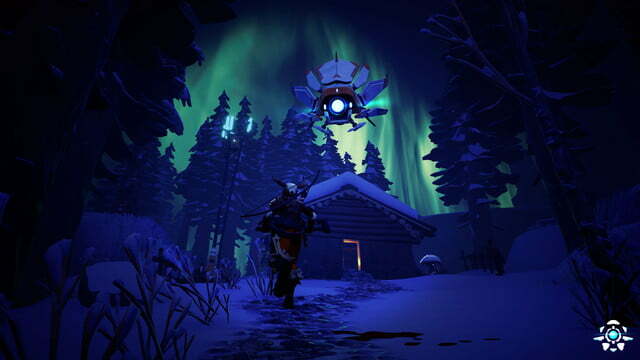 Clever players can take advantage of this, however, and lead their pursuer into an ambush. There are enough other ways to mess with fellow players that someone who might not have the best controller skills could still take a match just by being clever.